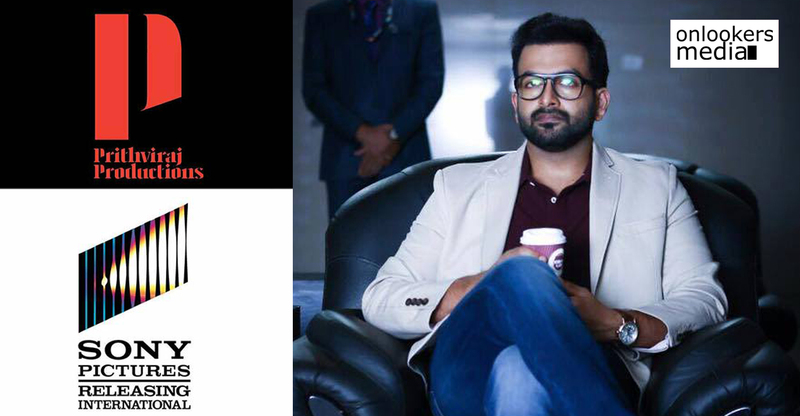 Prithviraj Productions collaborate with Sony Pictures International Productions for their maiden venture! 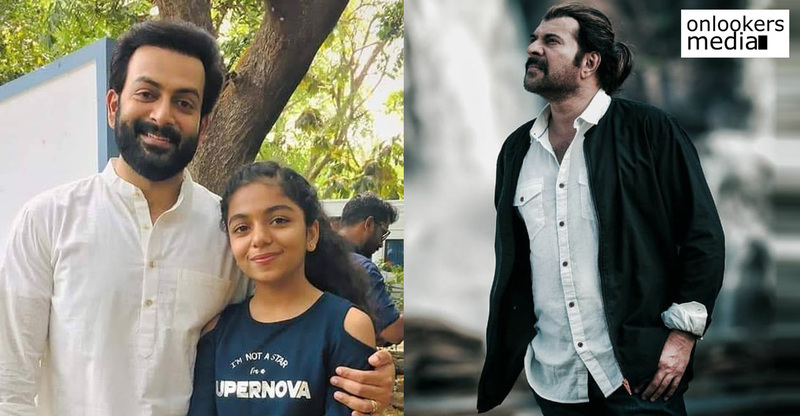 Earlier this month, actor Prithviraj had announced the launch of his new film production house, Prithviraj Productions. He along with his wife Supriya are helming the company. 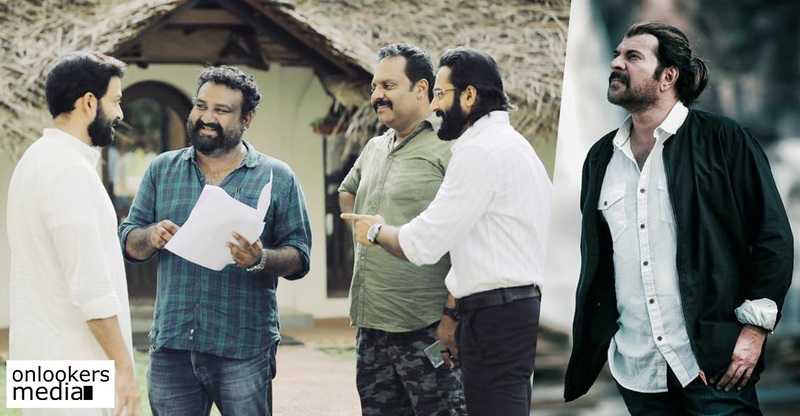 Their aim is to spread the wings of Malayalam film industry by backing movies that could be proudly presented to cinephiles across the world. 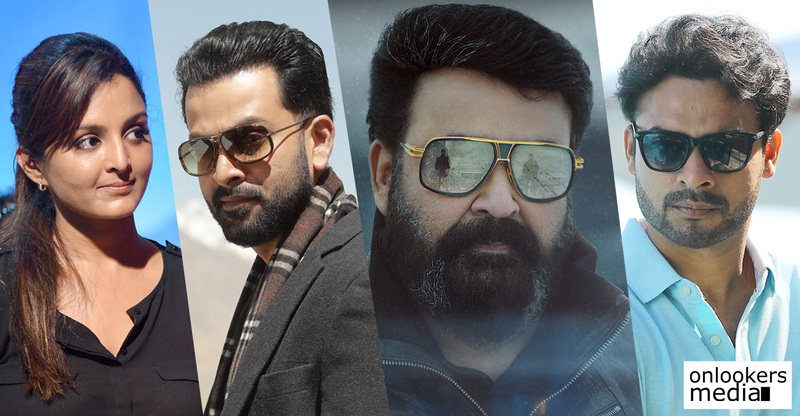 As a first step, Prithviraj Productions are joining hands with Sony Pictures International Productions for their maiden venture. Prithviraj informed this to his followers in Facebook by posting a noted in his official page. He welcomed Sony Pictures to the world of Malayalam cinema. They have produced iconic blockbusters like 2012, the hugely popular Spiderman franchise, Jumanji etc. 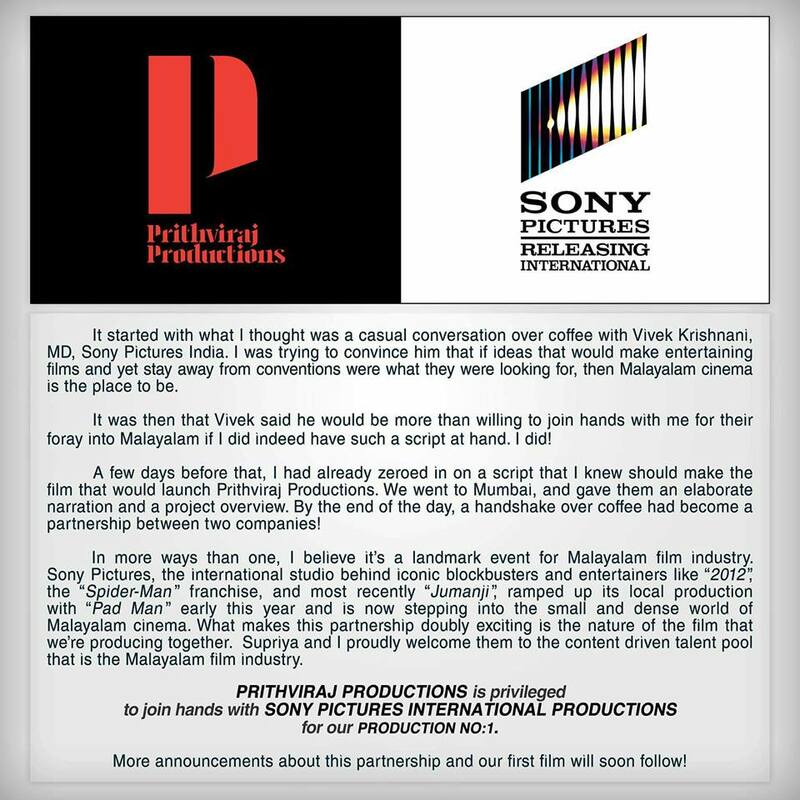 Apparently, Sony Pictures and Prithviraj Productions are collaborating for an ambitious project. Some medias have already reported that the company’s first project will be a big scale sci-fi film, which will be directed by Jenuse Mohammed of ‘100 Days of Love’ fame. But Prithviraj has not yet confirmed it. He has informed that their maiden venture’s official announcement will be made very soon.